Pondering my parting message to you for the spring term, my mind travelled down the list of my appointments for just one day of this week (Wednesday, as it happens) and it struck me that my Day in the Life of a Head made a very suitable Life in a Day of the School. And what a day it has been! A Class Assembly from Year 4 on Water was a model of cross-curricular learning, featuring science, ecology, oracy, singing and (a first for me) tanka poetry. A few steps across the Dining Hall, the Sixth Form Rock Band were centre-stage for a very different sort of Assembly, going through their paces with covers from, among others, Arctic Monkeys. This was closely followed for me by a visit to Reception, finding out more about how the girls use the outdoors for their learning. The flower beds in their garden are ready for planting and – more joined-up learning here – Mrs Shaw is hoping that the class can make soup from the carrots that they grow this season. A spell with Year 2 practising number bonds through an Easter Egg Hunt in the grounds completed a deep dive into the many ways in which junior girls can learn through adventure and exploration. Late morning brought a planning meeting for our visit from BBC’s Question Time team. Interest in current affairs is at an all-time high among our students and so great excitement greeted the news that we had been selected as the venue for the 9 May Show. We are keen to make the most of the opportunity for them to gain insights into the logistics of the programme as well as introducing them to the cut and thrust of contemporary political debate. All the budding TV producers, journalists or politicians out there – this one is for you. The afternoon brought a final meeting with a 62 student whom I have been supervising for the Extended Project Qualification, as she prepared to submit her final product. It is always a pleasure to take part in this programme, as individuals take on ambitious projects, juggle their many commitments and wrestle with ethical and methodological questions to reach their final goal. It has also been particularly stimulating for me to supervise a project on mathematics, quite a long way from my specialism, in a programme that encourages the demolition of subject barriers in the pursuit of original intellectual inquiry. A better preparation for university research would be hard to find. If I stretch a point and include the full 24 hours since tea-time on Tuesday, the line-up of events becomes even more remarkable. Four o’clock found me at a Private View we hosted at the University of Northampton of ‘Yuli’ – an extraordinary film about the life of Cuban ballet phenomenon Carlos Acosta. Not only did we premiere the film a day before it was shown in Covent Garden but we were also able to meet the Director, Icíar Bollain (a Madrilenian living in the UK), who had generously accepted Ms Diez’s invitation to take part in a Q&A with our students. (This they did in Spanish, naturally.) With our GCSE Language oral exams kicking off and the German exchange visit winding down (and planning for the finale of our Erasmus+ project continuing in the background), this has been an intense week for building European links and has taken us several steps forward in our bid to increase the international awareness of all our students as they head towards a global workplace. Minutes after the film credits rolled, it was a quick change of scene as we began our annual Sports Awards Evening in the Senior School Hall. With a new format and a dazzling line-up of prize winners and guests, the evening reminded us what a very successful year this has been in sport – culminating in the U16 netball team being placed 11th in the National Finals. International netballer, Eboni Usoro-Brown, had earlier in the evening delighted girls in the Junior Awards with her story of playing for England, and her 5 tips for success (including ‘enjoy the journey’) hit the mark exactly for her eager audience. With the summer season yet to start in earnest, it is clear that huge numbers of girls are ‘enjoying the journey’ of their life in sport. That, then, was my day (and what a privilege to be able to call this work!). From Reception to 62, rock music to ballet – via netball and number bonds, politics and poetry – school is a kaleidoscope of experiences and opportunities. Every girl, every day. Little wonder, then, that we are ready for a break when the end of term comes. Whatever the spring break brings for you, I hope that it is happy and healthy. International Women’s Day (IWD) offers an unmissable opportunity to shine a light on an area of human endeavour where women’s role has traditionally been too much in the shadows. This year, with our recent Music Department refurbishment in mind, we have chosen to celebrate the contribution of women to music composition. The hashtag for IWD 2019 – #Balance for Better –fits beautifully with this. IWD is not about claiming that women are better than men are but, rather, proclaiming that balance (or diversity, to put it another way) is better than narrow exclusivity. Men have, it almost goes without saying, achieved amazing things in music. (Just think of Byrd, Bach(s), Buxtehude, Beethoven, Brahms, Bizet, Bruckner, Berlioz, Bartok, Barber, Britten, Bernstein, Birtwhistle, the Beatles and Bowie – without moving from one letter of the alphabet!) Women have, however historically found it very difficult to get any of their music heard. This has been true for all sorts of reasons – to do with the way money, power and time were distributed in society and to do with deep cultural attitudes, which disapproved of women taking the limelight. It has been easy, then, to study and enjoy music (especially classical music) without ever meeting any women composers and easy to believe that women just aren’t there in the tradition. Jessy McCabe, the student whose high-profile challenge, a few years ago, of Edexcel on its exclusion of any women composers from its A Level Music Specification, hit a chord (ouch!) with a mass audience and, since then, change has come rapidly. Jessy’s action (backed by our own CEO, Cheryl Giovannoni) was a brilliant example of the power of persuasion – which we can all take inspiration from – and opened a doorway into a new world in which women composers, past and present, are popping up everywhere. From Hildegard of Bingen, 12th century nun, writer, composer and a true pioneer, to the current luminaries of the composing scene, many of whom (Anne Dudley, Rachel Portman and Anoushka Shankar, for example) we have been celebrating in school over the last few weeks, we have discovered a plethora of prodigies to counterbalance the traditional canon. Allied to this, IWD is also a perfect platform to celebrate the wealth of composing talent and originality we have in our midst, as our own students enjoy the opportunities in school to express their ideas and hone their skills, assisted by the recent addition of a state-of-the-art Music Technology Studio. We were, for example, delighted to hear Théa Deacon’s own original composition, inspired by a masterclass with Kerry Andrew at a Summer School at the Purcell School, in Assembly a few weeks ago. Finally, Mrs Care’s specially created film focusing on the many women in key roles within the contemporary scene was a timely reminder of just what a vibrant professional field the British music industry is for young women to enter, at a time when many schools are easing music and other creative arts into the margins of their curriculum. It is a truth universally acknowledged that a girl starting a new school must be in want of a friend. Little wonder, then that the topic of friendships dominates much of life in school in the first year, and often periodically in the years beyond. Sometimes, especially when we are growing up and exploring our identity, things go awry and, when this happens, it can be hard to avoid being engulfed by the emotional fall-out. ‘Girls on Board’ – our programme for tackling these issues (which Mrs O’Doherty wrote about in her High News article recently) – starts from the premise that, while we all need friends, managing our friendships can be tricky. It works towards the goal of empowering girls to manage the ups and downs of their friendships – building them, keeping them, salvaging them, changing them, leaving them behind – while also staying focused on the bigger picture of school life and its many demands and delights. With the Annual Alumnae Reunion Lunch still fresh in my memory, though, I want to focus on the other side of the equation and consider the gifts that friendships, especially lifelong friendships, bring. The din of talk and laughter in the Dining Room on Reunion Day, Saturday 26 January, spoke volumes (literally, one might say) for the wonderful gift of friendship. Dozens of women, some regular attenders, others first-timers or decade specials, converged at school to reconnect and reminisce. They came from all over the country (as they always do) to be there. Some, who left school perhaps sixty years ago, were given lifts. Some, from far-flung places, were offered space in spare rooms and on sofa beds so that they could make a weekend of it. All were drawn by the power of friendship – the bonds that begin in childhood and are forged in the vivid milieux of our schooldays. The years peeled away as memories (of misdemeanours, as often as not) and jokes were aired and traded, and stories ripened by years of retelling, like vintage wines. The Ancient Greeks, whose subtlety of thought in such matters has not persisted into modern times, recognised friendship as a form of love and called it philia – a love based on shared goodwill. The inherently reciprocal nature of philia – in contrast to other forms of love, such as passion, which can be one-sided – marks out the root of its special character. It is never asymmetrical or based on power, even if one friend becomes richer or more successful than the other. I believe that the essentially equal and reciprocal nature of true friendship is vitally important to young women as they leave school to enter a competitive and often unforgiving world where disinterested support can be hard to find. Friendship comes at a price, though, both in effort and in forbearance. Gaining the full benefits involves taking the long view to surmount bumps in the road of relationships. It entails looking beyond the superficial transactionalism of social media likes to a deeper mutual regard. It means not sweating the small stuff. There may be differences of opinion. Ride them out. There may be quarrels. Patch them up. You may feel you are drifting further and further apart. Travel further. Make the effort to bridge the gap – going to your School Reunion is a great way to do this! The push-me-pull-you dynamic of friendship will surely even out across shared lifetimes. Your A Level results were better than mine, I’m now getting paid more than you. I help you today with a work experience opportunity for your daughter. You gave me a helping hand with a loan for my start-up when I was made redundant ten years ago. We both visit Janet, whom we met when she joined the School in Year 4, because she is having a hard time with her ill partner. This is the sort of friendship I see in evidence every year at our Reunion and it is one of the reasons that the event has an energy and an atmosphere about it that is unmistakable. This is the sort of friendship I wish for, for all the girls whose start in life is spent at Northampton High – the Alumnae of the future. To whom I conclude by saying – don’t measure it, just treasure it. These words – spoken by a young teacher – echo down the years. The start she spoke about was distributing home-printed anti-Nazi leaflets in her home town of Munich in the early 1940s. Within a short time, perhaps inevitably, the government’s agents spotted her. Sophie Scholl was arrested, tried and sentenced to death. On 23 February 1943, she was executed. She was 21 years old. Dietrich Bonhoeffer, a minister in the German Church, went on radio to denounce Nazi policies two days after Hitler became Chancellor in 1933. His broadcast was cut off mid-sentence. During the war, he volunteered in the resistance and this work landed him in prison in 1943. Eventually, evidence of his involvement in a plot to assassinate Hitler was discovered. On 9 April 1945, he was hanged in Flossenberg concentration camp, just a few days before the camp was liberated. Raoul Wallenberg was a wealthy Swedish banker working in Budapest. Following the Nazi occupation of Hungary, he led a network, which helped Jewish Hungarians flee persecution by forging passports and providing safe houses. The work was dangerous – Wallenberg slept in a different house every night to escape detection – but effective. His network saved at least 4,500 people – and possibly even twice that number. When Hungary was liberated by the Russian army, Wallenberg vanished – probably into a Russian prison – and was never seen again. If another retelling seems to add little, then surely, you may think, the lessons of the Holocaust have been learnt. What good does it do, we might feel, to focus on an event of such horror that happened well before most people alive today were even born? There are many possible answers to that, but one thing I know. It is that, every time I go back to the Holocaust, I find out something new – a fresh perspective – about humanity. For example, when I first began to study the Holocaust, it was believed that there was very little resistance to it. Sophie Scholl, Dietrich Bonhoeffer and Raoul Wallenberg were glorious exceptions – heroes in a world full of villains and passive bystanders. This, it now transpires, is a massive over-simplification. Wherever you look in Nazi Germany and the occupied territories in WWII, you find people ‘making a start’ in their own way to resist Nazism and its atrocities. Jerusalem’s Holocaust Museum collects the names of such people – known as the Righteous of all Nations. Their current roster contains the names of 26,973 people from 51 countries – ranging from over 6,000 Poles to one Cuban, one Egyptian and one Vietnamese. Twenty-two British people are named – 12 of these identified only in the last 20 years. Sophie Scholl, Dietrich Bonhoeffer and Raoul Wallenberg are, in fact, the tip of an iceberg – an iceberg of people, from all countries and walks of life, who helped to sink the Titanic of Nazi terror. They did this, not usually by bold acts of derring-do – manning the barricades, storming the battlements – but by small, deliberate acts of non-compliance or defiance or kindness. The saying goes that ‘it is enough for evil to triumph that the good do nothing.’ And I ask myself – where would I have stood in their place? Would I have stood on that street corner to protest about a wicked regime? Or made that radio broadcast? Or volunteered for that rescue mission in Budapest? Remember that, at the time no one was expecting them to do it. Often no one was even noticing. True, History has garlanded them with honours – and labelled them the Righteous. But at the time when they made their decisions, their choices offered them only danger, social ostracism, humiliation, a criminal record, hardship, pain, even death. Holocaust Memorial Day invites us to answer that question for ourselves – faced with a similar choice, where would I stand? Would I ‘make a start’ or would I be a passive bystander? The question is far from hypothetical. Our times are also blighted by racism and anti-semitism. Indeed, these toxic forces are on the rise again. And genocide didn’t end when the Holocaust was over. Indeed, it haunts some corners of our world as I write. Why keep returning to the Holocaust? Because we find out something new every time we do so. Something new about humanity, yes. But, just as often, what we find out is something new about ourselves. Imagination is not usually seen as the best foundation for policy-making. For that, we look to facts and stats. In education, though, things are – or should be – different. Why? Because we are preparing our youngest school pupils for adult life and the workscape as it will be in the mid-2030s. For this, the facts and stats of the past 16 years will not suffice to inform our thinking, just as the facts and stats of the turn-of-the-millennium – pre-iPhone, pre-Facebook – did not help us greatly to shape the education of today’s 18 year olds. 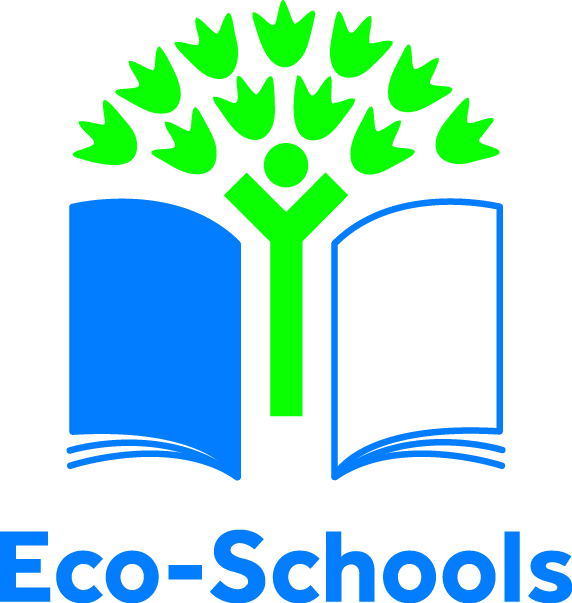 For decades, education has been playing catch-up with technological change, with classroom practice and social conduct adapting ‘on the hoof’ to the new possibilities of communication, information gathering and disclosure presented by innovations and inventions emanating from commercial enterprises with a completely different agenda from that of schools. For more than a generation, our education system has been enmeshed in a struggle to prove itself against national (and international) standards of individual employability competencies, in an exercise in which countless incommensurable variables are smoothed into invisibility in a bland background picture. The result has been an exodus from the teaching profession on an unparalleled scale as the joy of the work has been squeezed out of existence. Meanwhile, the dizzying possibilities for our own students of internationalism – a truly globalised higher education and employment market, for example – seem scarcely to register in a society in which the levers of social mobility seem to be rusted in a locked-shut position and the prevailing public discourse is stuck in the well-worn groove of blaming the independent-state divide. Sticking narrowly to the facts and stats of economic, social and technological change has brought us hither. Continuing to do so offers a depressing outlook for the journey onwards. What, then, can inspire teachers and young people to resume the challenges of education at the opening of a new year – 2019? For that, we need imagination. Imagine, for example, a world in which the gender pay gap has already been bridged and sexual harassment has become a thing of the past in the workplace culture. Now let’s imagine a girls’ school whose approach to Student Guidance revolves around preparing its students to speak out and to act to build the society that they want and deserve rather than merely preparing them to cope with the obstacles they will encounter. If this sounds powerful, it is. Let’s focus on one concrete example to exemplify the approach. This was our #Now’sTheTime Conference, run for our Year 12 students in November. The day was bookended by individual stories; beginning with Carole Stronach, Director of Global Real Estate for Avon, who spoke about her quest for personal success and fulfilment, and the rewards and sacrifices made along the way and finishing with Sally Kettle, High School Alumna and professional adventurer, drawing on her insights about the same issues from a generation younger. The filling in the sandwich consisted of sessions designed to tackle head-on the key issues facing young women as they prepare to enter a volatile, uncertain, complex and ambiguous world, both professionally and socially, where, the stats tell us, a discouraging outlook of diminishing self-efficacy, narrowing expectations and plateauing professional horizons beckons. A plenary from Dr Melanie Crofts, Senior Lecturer at De Montfort University’s Law Faculty, gave girls the low-down on the law of consent while experts in their fields ran workshops on vocal efficacy, bystander intervention, practical self-defence and building a vision of equality, which will stand the test of confrontation with real-life experiences. Sharing the day with a group of Year 12 girls from Weston Favell Academy meant that we could hear a range of stories and build solidarity with peers – while also practising networking skills over lunch! And, invaluable though the day was in itself, we knew that we could reinforce key messages and practise building self-efficacy through follow-up events in school and through the Girls’ Day School Trust’s unique CareerStart events and mentoring programmes. Our Sixth Form students believe wholeheartedly that Now’s The Time for them – the time for them to enter an employment market in which gender equality is a lived reality and for them to flourish in workplaces where sexual harassment no longer needs to be on anyone’s agenda. Now’s The Time for them to take an active part in society – feeling free to express their views, taking for granted the fear-free enjoyment of public spaces, reclaiming the night from violence and intimidation, refusing to be a frightened bystander. They are ready and eager to make it a reality for themselves and, with a little imagination and large dose of belief – in them and in ourselves – we can help to make sure it happens. Now’s the time. A skill deficit that costs the UK economy an estimated 3.5% of GDP. A knowledge vacuum that 74% of business leaders identify as a major barrier to career success for graduates in today’s world of work. You may be forgiven for thinking that I am talking about science, technology, engineering or maths – subjects which occupy so many headlines, especially where opportunities for girls and young women are concerned. These stats relate to Foreign Languages, an area which rarely attracts comment and stands pretty low on the national educational agenda at the moment. And yet, I would argue that Britain is in danger of sleepwalking into an employability crisis, as many educators continue to turn a deaf ear to the research and the warning signs highlighting a comparative skills gap for our graduates that will materially harm their employment prospects in the coming years. We are in danger of nurturing a generation of global consumers who are incapable of flourishing as global citizens, earners and opinion-formers. The figures are eloquent – and concerning. Only a third of Britons report that they are able to hold a conversation in another language. A 2016 review of language teaching in English secondary schools found that a mere 34 per cent of pupils obtain a good GCSE in a foreign language, and less than five per cent do so in more than one language. As language learning in schools and universities continues to shrink – with French and German A Level declining by 17% and 12% respectively in the past six years, for example, it looks unlikely that the situation will improve for the next generation. Many people seem to be assuming that the problem will decline after Brexit. After all, they say, many of our trading partners are Anglophone (such as, the USA) and (American) English is the lingua franca of the global economy. This overlooks the reality that post-Brexit Britain will inevitably turn more outwards towards non-European markets and, hence, into more difficult territories for business in countries, such as Russia and China, where the linguistic scales are even more drastically balanced against monolingual Britons than in European countries. Professor Bianco of the University of Melbourne’s Faculty of Language and Literacy Education has put it in a nutshell: There are two disadvantages in global language arrangements: one of them is not knowing English; and the other one of them is knowing only English. We must not rely on the fact of the first (a reality which many, many young people in non-Anglophone countries are working hard to address) to ignore the truth of the second. Nor does this mean radically reorientating language-learning in the UK away from European languages towards Russian or Mandarin, say, a suggestion which may well leave policy-makers in education and head teachers shrugging their shoulders in impotent despair. Language-learning is about more than mastering a single language. It is about mastering the skills for language acquisition, which can be transferred to other languages in the future. No surprise, then, that French, German and Spanish remain in the top five languages recommended by the British Council as threshold languages for study. It is also, and crucially, about developing the cultural awareness that opens the way for a more sophisticated understanding of other ways of doing things. This, in itself, is a vital transferable skill, which is indispensable in international business negotiations. It should be part of the armoury of any ambitious professional leaving education today. With 39% of employers surveyed in 2017 expressing dissatisfaction with the global cultural awareness of UK graduates (up by 9% in just one year), the imperative facing responsible school leaders is clear. Making the study of a Foreign Language to GCSE level as part of the core curriculum should be an absolute minimum and internationalism must be a golden thread woven through school life. What does this look like in practice? At the High School, for example, language exchanges, a compulsory residential in Year 8 to Normandy, cultural visits every year to a rich selection of destinations (recently Berlin and Granada), a thriving eTwinning programme and an exciting Erasmus + project, collaborating with schools in Germany, Hungary, Latvia and Portugal, provide a myriad opportunities for girls to develop a global perspective. Last Tuesday, we hosted the European Universities Consortium for a workshop on European degree applications to feed the growing curiosity among our students about overseas study. Whatever Brexit brings, we know that the future for our students is unlikely to be defined by the lines of national borders. That is why igniting the fires of interest in language-learning and internationalism at school is as important as stoking the flames of STEM. There was an interesting synchronicity to my spending the day on Wednesday of last week (National Mental Health Awareness Day) at Bristol University at a meeting of the HMC/GSA Universities Committee. Undergraduate mental health was right at the top of our agenda, on the back of research which showed that the suicide rate among UK students has risen by 56% in the ten years to 2016 and a recent report that there were 95 suicides in English universities in the twelve months to July 2017. These worrying statistics have given rise to calls among some educationalists to redefine the start of full adulthood in the UK from 18 to 21, thereby giving parents a greater say in the lives of their children through higher education. In practice, some moves in this direction are already being seen ‘on the ground.’ Bristol, which has faced adverse press coverage in the recent past on this topic, now invites students to opt into a system, which allows the university to initiate contact with parents if there are concerns about a student’s mental well-being. The proposal to change radically the definition of adulthood has to be seen in the context of a much larger and very confusing picture. Just think of the many anomalies in the status quo. On the one hand, the law has relatively little to say, for example, concerning the corrosive effects of permissive immersion in social media among children far younger than 18. On the other, 18-year-olds are sent to fight (and possibly die) for their country and, if employed, are made to pay taxes. A broader public debate on the correct thresholds between childhood, adolescence and adulthood is greatly overdue. In the meantime, as the Universities Committee recognised, schools play a very large part in preventing crises developing when students go to university, both in the application process itself and in the broader guidance offered. Prompted by the debates held around that table in Bristol, I offer here a few reflections on what we do at the High School to prepare our students for university life. First and foremost, we offer tailored application advice and this is essential to ensure that students end up on the right course at the right place for them. 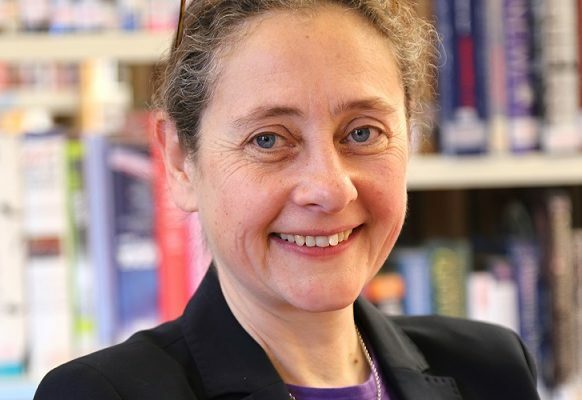 Bristol’s Pro-Vice Chancellor observed how often, in her experience, mental health problems occurred when students were there ‘for the wrong reasons.’ Knowing our students really well is key to this and negotiating the labyrinth of choices is best done with teachers and tutors who know the girls, have seen where they have come from and understand their capabilities and interests. – building the confidence to negotiate ambiguous or potentially threatening social situations. Finally, the emotional element is huge. And this, above all, is about managing expectations. Experience has taught me, for example, to avoid telling students that my university days were the best of my life. Not because they were not (they were not) – but because I have come to think that it is unhelpful to them. Hearing this from the adults in their life puts a terrific pressure on them to find university life wonderful from day one – a recipe for disillusionment and self-doubt. Actually, the first few weeks of university can be disorientating and lonely. Not everyone finds herself living in a scene from ‘Brideshead Revisited’ in Freshers’ Week. Equally, the later weeks (and months and years) can be quite challenging, at least at times. This does not mean that the whole experience will not be immeasurably valuable in shaping her as a person, extending her sphere of understanding and expanding her horizons. Talk of finding one’s passion, ubiquitous in education, can lead students to feel as though there is something wrong with them if they haven’t been transported onto a higher emotional plane by a subject by the time they are 17. Reassuring them that they can (and will) have fulfilling lives at university and beyond without the need for a daily diet of ‘peak experiences’ but simply by spending time with people they like studying something they find interesting may be the best encouragement we can give as they prepare to press ‘send’ on those UCAS forms. It is always exciting to see your name in lights and on Sunday 2 September that was what happened, metaphorically at least, as the Girls’ Day School Trust’s new national ad campaign shone a spotlight on its 25 schools, 20,000 students and 8,000 staff (with particular help from our own Chelsea Hikwa, one of the featured personalities). This has set me thinking about the role the Trust plays at the High School – a role which is perhaps larger than we realise when we take into account all that goes on ‘behind the scenes’. At the opening of a new academic year, with all its energy and promise, I can think of no better way to start than by describing that broad, bold backdrop to school life. 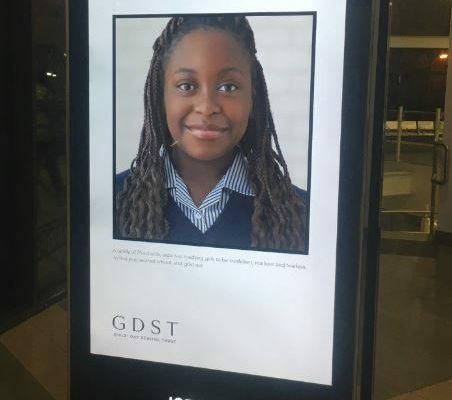 In an age where trusts of all kinds (multi-academy trusts or MATs, say) are commonplace in education, it is easy to forget how special the GDST is as a Trust among trusts. First and foremost it is far older than most, with a much longer and more distinguished track record. Founded in 1872, at the very dawn of girls’ education in this country, it has played an integral part in the proud struggle to achieve education for girls on the same basis as for boys. What does all this mean in practice for us in Northampton? For our girls, it means extended opportunities during their school career in every facet of life – sports rallies and scholarships, competitions and conferences, placements and performance platforms. The menu of events grows year by year. Last year, for example, our keenest Y6 mathematicians enjoyed a conference at Oxford University while budding cricketers benefited from elite coaching from a national player and coach. The power of the network also extends far beyond the school gate, with the largest Alum organisation in the UK standing behind our leavers as they stride out into higher education and the world of work. University groups provide friendly support, from Freshers’ Week to graduation, while professional contacts offer a helping hand or a wise word of advice at crucial points on the professional journey. For staff, the GDST offers access to a central training and professional development programme that is second to none – from subject-specific workshops to bespoke leadership training courses and everything in between. We can draw on the services of experts at HQ in legal affairs, finance, health and safety and IT as well as educational matters and plug into the support of a network of fellow professionals, united by a common purpose, eager to share their skills and experiences. The support I gain from the other Heads in the Trust – always just an email or ‘phone call away – is simply priceless and my colleagues each have their equivalent circles to call upon. And for parents? 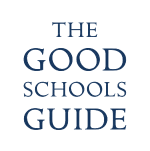 Because the GDST is more than the sum of its parts, each of its schools can ‘punch above its weight’. As a charity, with Trustees but no shareholders, it can commit every penny of its income to the development of its schools. Providing very good value for money has always been a major part of its mission and excellent stewardship remains a top priority. This is a reassurance that parents prize greatly. Some of the benefits are easy to see, such as the major refurbishment project for our swimming pool completed over the summer and the Inspire East conference for our 6.1s in Cambridge last Friday. Others are less tangible but equally important. The relative attractiveness of Trust schools as employers and training bases means they draw the highest calibre staff, which matters greatly at a time of a national recruitment crisis in education. Access to the highest echelons of educational expertise and debate not just nationally (for example, the Annual Summit) but internationally, such as the Global Forum for Girls’ Education in Washington DC I recently had the privilege of attending as part of a GDST delegation, ensures that we keep abreast of new thinking and help to shape the broader educational debate. Shouting from the rooftops has never been our style – we are always too busy focusing on putting the girls first. However, this national campaign reminds us that we are stronger together, it raises the curtain on all that we achieve together in the unique GDST community. I recently had the great good fortune to attend the Global Forum for Girls’ Education in Washington DC as part of a GDST heads’ delegation. This international conference, organised by the National Coalition of Girls’ Schools of America, was only the second such event of its kind. Reflecting on the first day of proceedings at day’s end, I was aware of a strange sensation of light-heartedness, which seemed at odds with the seriousness of much of the content of the speeches I had heard. The opening session, for example, featured Azar Nafisi, an academic and writer whose work in championing educational opportunities for girls was driven by her experiences in post-Revolution Iran, where censorship limited the scope of study for the young women who attended the university where she taught. Puzzling about how to account for this, I wondered whether the venue was important. The Marriott Wardman Park Hotel, founded a century ago, has certainly known its share of drama and glamour. A home to several past presidents (and Marlene Dietrich), it was also the centre of a spy ring during the Second World War. Or perhaps the setting was the key factor. Washington DC is a beautiful city. (Or, perhaps more accurately, it is a city with an attractive centre, elegant and green – the suburbs may well be a different matter.) It is an exciting world metropolis and a place where global power lines converge. The location undoubtedly added an exciting vibe to the occasion. Perhaps, too, it was the company I was keeping. With over 750 delegates from as far afield as Australia and Afghanistan, the delegate list had the perfect blend of friends, including a sizeable contingent from the UK’s Girls’ School Association as well as GDST colleagues, and of strangers, each with an interesting and unfamiliar perspective to share. The line-up was star studded with the leading experts in their field – such as Rachel Simmons on wellbeing and Gail Kelly on leadership. Billie Jean King rounded off the conference in her own inimitable style. The break out workshops were led by educators from an astonishing range of backgrounds. Some topics were niche, such as gender-specific strategies for teaching geometry, while others had such mass appeal that, as in the case of Rachel Simmons’s talk, the organisers had to take down a wall to accommodate all the attendees. What they (I should say ‘we’ as I co-presented a session on sustaining success beyond the school gate with my counterparts from Putney High and Wimbledon High) had in common was a passionate belief in the importance of girls’ schools to providing the best education for girls. All of these ingredients played a part, I think, but it was only when I studied the programme in more detail that the full explanation dawned on me. 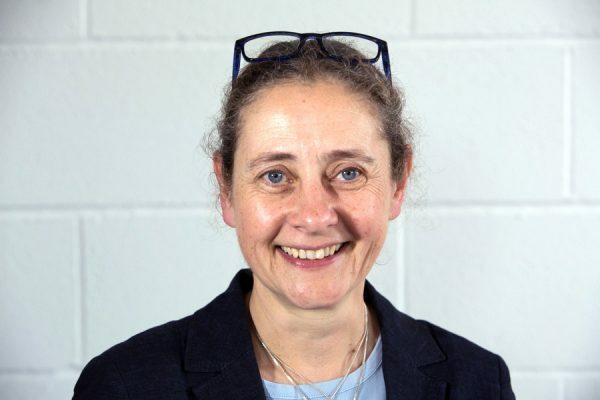 Among the seven keynotes and dozens of breakout sessions on offer, not one was devoted to A Level or GCSE reform, the quality (or otherwise) of public exam marking, value added stats, EBacc, school league tables or regulatory compliance. The very fact that it was a global forum completely changed the perspectives and priorities. It meant that every moment of this three-day event on girls’ education was devoted to listening, talking and thinking about girls and education. It sounds obvious – but it isn’t. The challenge of communicating with education professionals from 22 different nations and education systems imposed upon us the discipline of speaking to universal themes and concerns. So, what did I take away? Too much to summarise in a few sentences. I learnt that the Australians are doing some interesting work on wellbeing and that we can learn from them. I learnt that the Americans are streets ahead of us in their work on alumnae links and that the Icelanders are great role models for educating out gender stereotypes. Above all, I learnt that thinking globally enriches my understanding of my task in the school that I lead, provoking me to lift my gaze from the straitened path of national concerns and emboldening me to act locally to ensure that the education the High School girls receive is not just first class but world class.